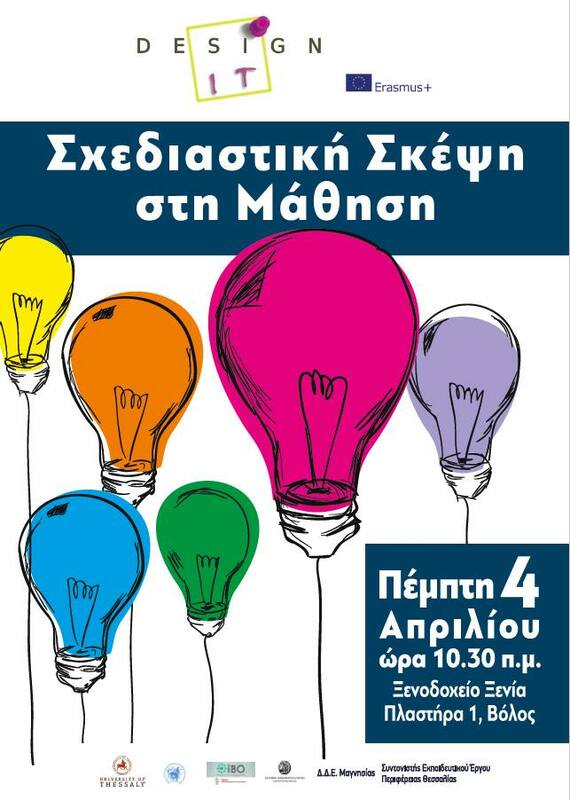 Announcement for multiplier event for project DesignIT on using design thinking in learning, targeting STEM educators, taking place on April 4 in Volos, Greece. Working with the Greek Mathematical Society and the Secondary Education Administration. Event “design thinking in learning”, department of electrical engineering and computer engineers of the University of Thessaly and iwo-Eketa in collaboration with the mathematical company, Directorate of Secondary Education Magnesia, coordinator of educational project of region of Thessaly, April 4, 2019. Addressed to teachers of sciences.